Barbara Hammer, pioneering experimental filmmaker, died over the weekend after a long battle with cancer. One of her last interviews was with Masha Gessen for the New Yorker just a few weeks ago. 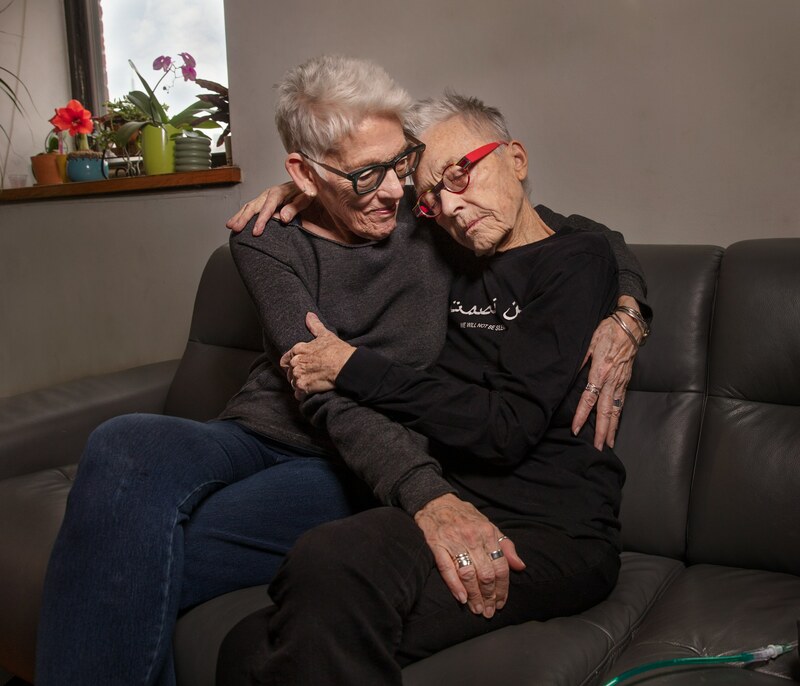 Billed as an “exit interview,” Hammer reflected on her career, the joys of being a lesbian, and her legislative efforts to help terminally ill people like her die with dignity. Read an excerpt from the interview below, or the full piece here. We said yesterday that this is an exit interview. Like when you leave a job and the human-resources department conducts an interview with you. My question is, What was your job? HAMMER : My job was anything that I made up and decided to do. It was often around filmmaking, but sometimes it would be painting or making an installation or doing a performance. I wanted people to know what it was like to have cancer and not just see it on the screen but to see me there coughing and struggling and breathing and not breathing, so I did a piece which was a lot of work, and seventy people got to see it in a gallery. But then it led to more performances. It has been learning how to just follow my path. And, if I don’t get the money for a film, I move to another film. There was always another kind of film, a film that I just needed to make. There’s a feature film—I wrote ninety pages for it—about women who pretended to be old. I had them make love in bed and they would sweat and have hot flashes. Image: Barbara Hammer with her spouse, Florrie Burke. Via the New Yorker.